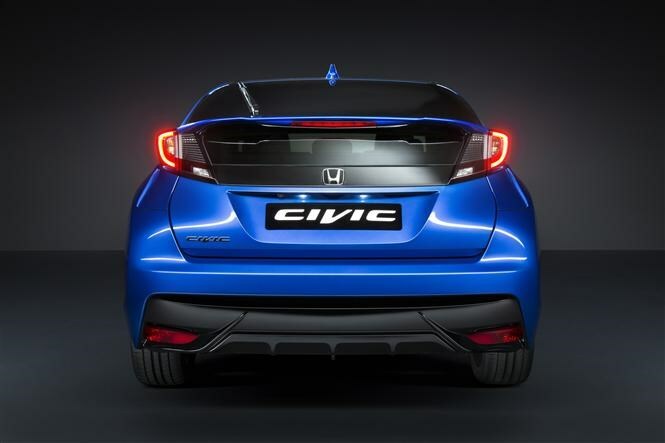 Main image caption The New Honda Civic. 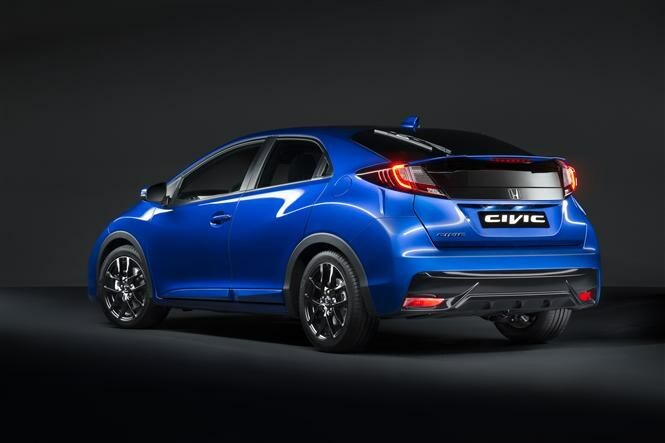 The British-built Honda Civic has been given a refresh for 2015, also ushering in a new trim level at the same time. 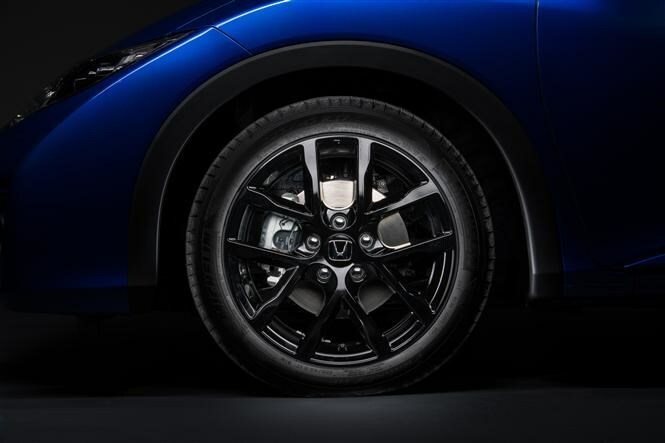 The tweaks will be officially unveiled to the public at the Paris Motor Show in October. 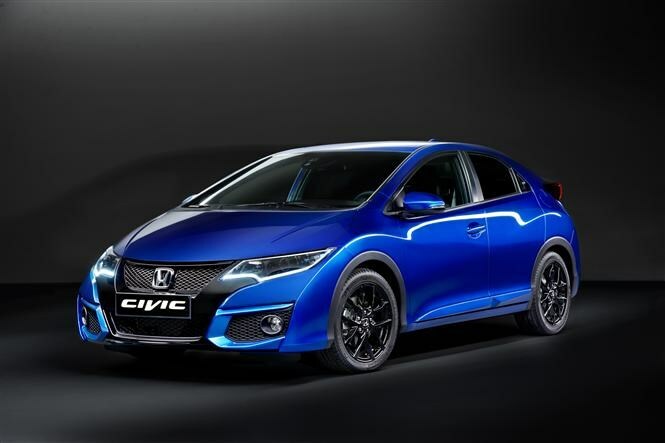 Its mid-life facelift sees both the Civic hatchback and the Tourer (estate) get a new front design incorporating revised headlights, daytime running lights and a rehashed front bumper. The side skirts and rear bumper are new too, while a black rear spoiler and LED rear lamps complete the exterior modifications. Inside, there’s a selection of new seat fabrics, door trims and a new multimedia system known as Honda Connect. This includes Bluetooth, DAB and internet radio, sat-nav (optional) and a rear-view parking camera. It runs on an Android operating system so can be controlled using the inputs you use on your smartphone. All Civics now get a low-speed automatic braking system as standard. This will apply the brakes at speeds below 18mph if an imminent collision is detected. Sport is the new equipment level. Its styling echoes that of the hotly anticipated Type R hot-hatch, but features a choice of a 118bhp 1.6-litre diesel or a 140bhp, 1.8-litre petrol engine. That means running costs won’t be anywhere near as high as the performance model expected to break cover next year. Styling tweaks include 17-inch alloys and a revised front bumper to ape the Type R. There's also a black headlining. 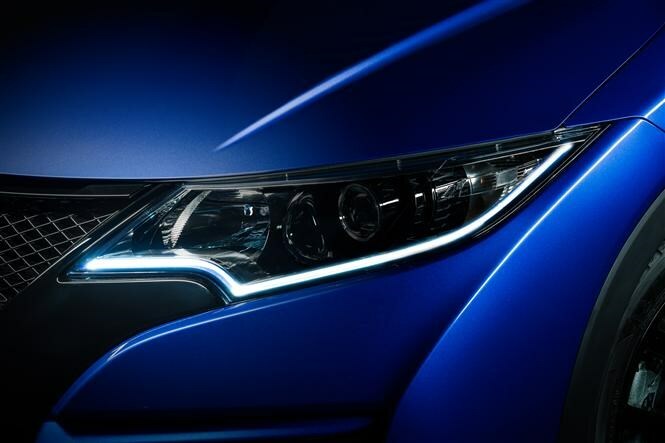 Unfortunately there’s no word on pricing at this point, and there’s also no word that Honda is considering removing the bar obscuring rear vision out of the back windscreen. A shame, but at least it remains distinctive. Expect more details at the Paris Motor Show in October. The New Honda Civic. The New Honda Civic. The New Honda Civic. The New Honda Civic. The New Honda Civic. The New Honda Civic.